You may be interested in some of our work at this web site. 2018 has been another positive year for the writing group. Our numbers have remained constant with a couple of new members joining a hard-working and happy band of writers. We continue to use a website to show our writing to a wider audience; however, as our two-year contract expired, we have set up another site. The new domain is beestonwriting.com and everyone seems pleased with its different look. Local writer, Sam Maxwell, led two sessions in a lively programme to help us improve as writers. In particular she looked at preventing “head-hopping” and at exploring viewpoints. We are always grateful for her expertise. Once again we ran a short story writing competition and our theme was “weather related”. Although there were fewer entries than in 2017 it was generally agreed that the standard of writing was higher. Thanks go to everyone who entered. 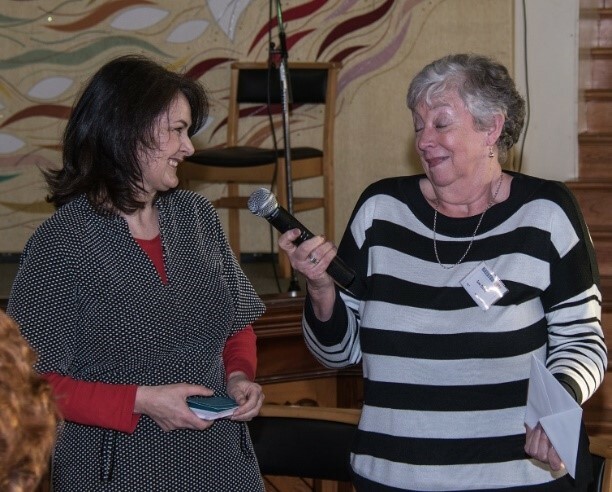 The winner was Susan Daley from Ilkeston writing group with her story of a fog-bound city and our guest judge, Clare Harvey, was in no doubt that it deserved to win. Susan also won our previous competition and has promised not to enter this year but moving to Margate does seem a little extreme! All the best in your new home, Sue, and we hope to see you published one day. Plans for 2019’s writing competition are in hand and will be announced officially at April’s Open Meeting. For a second year we launch our Short Story writing competition. The competition runs from 5th April to 6thth September and is open to every member of Beeston U3A whether they belong to the writing group or not. We are aware that our group does not have a monopoly on creative writing and there may be budding authors in our U3A community who do not wish to belong to our group but who would love to “give it a go”. This competition will also be open to writing groups in our cluster U3As (Long Eaton, Stapleford and Ilkeston). Please note that it is not a competition for professionals. Please do not enter if you have earned £300 or more from short story writing. Also, please do not enter a story that has been a winner in another competition. This year we would like you to take a weather event and to use it as inspiration for your story. Please note: It can be any kind of story in any genre, as long as your chosen weather event plays an important part. The story must contain no more than 2,000 words excluding the title. A prize is being donated to the winner by the Committee of Beeston U3A. All writers will retain the copyright to their entry/entries but must allow their work to be read out and displayed. The winner of the competition will be announced at the Beeston U3A December Open Meeting on Thursday 6th December. It is expected there will be a reading of the winning entry at that meeting and the story will also be printed in our Beeston U3A Newsletter. There will be no feedback on the stories by the judges apart from the top three. Good luck and happy writing and see page 5 of these documents for some hints for making your story stand out. We have had a really exciting start to 2018 as we began with a “cocktail party”. Regrettably, no real alcohol was involved but we still had an intoxicating time. Mars had devised an exercise where the stories and characters came from some cocktail ingredients. We all thoroughly enjoyed this session and the finished writing which emerged from it was extremely good and can be seen on our website helenbeeston.co.uk. March saw the return of Sam Maxfield. Sam had been our judge for our short story writing competition in 2017 and we had already worked with her so knew that she would bring something exciting to our morning. Our two-hour session went by far too quickly as we looked at dialogue in our writing. It was so useful especially as we are now preparing our short stories for the competition in 2018. In fact, it was so good that Sam is returning to us in June to look at “viewpoints” in writing. After very little debate it was agreed to run the short story competition again. Mars had run it for us in 2017 but this year John Gallagher offered to take it on. He launched it at the Open Meeting in April and the theme is based on “weather”. We hope that even more people join in this year and, once again, details have been sent to our cluster U3As. Our judge this year is another local, professional author, Clare Harvey. Clare’s novel “The Night Raid” takes place in Nottingham during WW2. What a busy year it has been so far! So, where do you do your weekly shop? Are you a Sainsbury’s fan or do you frequent Waitrose or Aldi or even shop on line? When I was still working I would frequently stop off at the Tesco Superstore on Swiney Way, Toton, on my journey home. Since retirement, it has not been convenient to do so. Also, Tesco’s reputation for being an ethical and honest company took a knock and many a “Guardian” reader refused to shop there. Recently, however, I have returned to Tesco because of their excellent approach to helping the local community. The Writing For Pleasure Group was looking for a new venue for its second monthly meeting. We couldn’t afford to hire another room and we tried meeting in houses both public and private but they never seemed to work. Public houses did not have the privacy we required and private houses did not have the space for our expanding group. One of our members, who lives at Toton, approached her local Tesco store on Swiney Way. They immediately offered us a morning in their community room. Not only is the room free but Tracie Basra, “Community Champion”, who runs the facility, supplies us with free refreshments as well. We have access to a range of coffee, tea, soft drinks and biscuits; at Christmas we were even given mince pies. We have used the room for nearly two years now and during that time we have learnt even more about Tesco’s altruistic work for the local community; the events to raise money for local charities, the parties at Christmas for children and senior citizens, their donations to local schools. Little of their outstanding work is broadcast to those of us who live near a Tesco store and it needs to be; perhaps this article can help in a small way. After our meeting on a Wednesday morning I complete my weekly shop at Tesco. There is much to compliment them on; the free fruit in-store for children, their emphasis on healthy vegetables but I would like to praise them especially for the attitude of their staff. Everyone I have encountered working in that store has been delightfully friendly and helpful. Well done Tesco! You deserve to have positive publicity and to be thanked for what you give back to the local community. I, for one, will sing your praises. Writing For Pleasure, Beeston U3A. or How Beeston U3A Writing For Pleasure Group Ran its First Competition. Back in March 2017 our writing group launched its first attempt at a short story writing competition. We opened it to everyone in Beeston U3A as we felt that there were probably some secret writers around who could not or would not come along to our twice monthly meetings. In a spirit of cooperation and fun we also invited members of our Cluster U3A writing groups to enter as well. Wanting to run a competition and actually doing so posed different challenges. Selecting a theme was easy: we said that any song title could be used to inspire the writing. It then occurred to us that we had to warn competitors that, although the titles were not copyright, the words of the songs were and they could not be quoted as part of the story. The second hurdle was to put together a set of guidelines and instructions to email to anyone interested in entering. Luckily, one of our members belongs to a Nottingham writing group and she was able to give us advice about the wording and formatting of our handouts. She also kindly offered to take charge of the stories as they came in and to keep records of the pseudonyms used by each entry. Pseudonyms were used to ensure that there was no bias when it came to the judging process. By September we had received thirty-four stories. We were utterly delighted with such a positive response. As a group we then had to whittle down the entries from thirty-four to a manageable eighteen. From there we reduced them to five and then the winner was selected from the final three. The latter was easy. It so happened that a local, professional writer, Sam Maxfield, best known for her Mapton series of books, had been a guest at one of our monthly meetings. Sam very kindly agreed to select the winning short story. What was not so straight forward was reducing the thirty-four to eighteen and then to five. A session in October was set aside for a grand read and, using some set criteria previously used in another competition, we tackled our first stage of reducing the entries. All eighteen members of the group read, on average, four stories each; avoiding their own entry, naturally. At the next meeting we changed the criteria and managed to decide on our favourite five. It was not a smooth process where individual taste, obviously, played a part. The stories themselves were all extremely well written and worth reading which, again, made it difficult to select. Unfortunately, one or two excellent stories broke our simple rules and were eventually removed from the final; they went over the 2,000 word limit (yes, we did double check) or the writer accidently revealed their own name. Eventually, a winner and two runners up were picked by Sam Maxfield in time for the December Open Meeting where the name was announced. 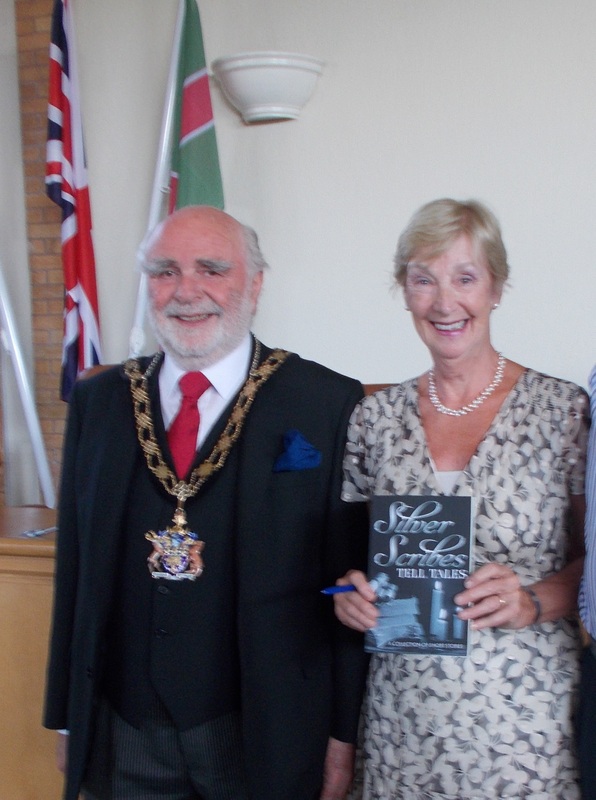 Susan Daley, the leader of Ilkeston U3A’s writing group, won the competition with her story “Man Upstairs” and was presented with a book token for £25.00 donated by Beeston U3A Committee. The two runners up were members of Beeston U3A’s Writing For Pleasure Group. All three stories can be read on our website: helenbeestonu3a.co.uk. Will we do it again? We have already begun the process to run another competition in 2018. It was an enjoyable experience and one which helped those in our group to improve as writers. What would we change? We have agonised long and hard over our criteria and have, we hope, now settled on a process which will satisfy everyone balancing subjectivity with tangible criteria. We have even selected our theme and are now looking forward to launching the 2018 Short Story Writing Competition during April’s Open meeting. The red ‘On Air’ light glows its warning as Daisy slides the knobs up the control panel to open her broadcast. ‘Good evening. This is Daisy Whitby. Welcome to my Wednesday programme, Swing with Daisy. I do hope you’ll relax and enjoy some classic music from the 1940s and 50s, as well as some modern swing revival. Tonight I would like to dedicate this programme to a wonderful lady – Mavis Widdowson. Over the past couple of weeks, Mavis has shared her memories of Saturday nights at the Palais dance-hall during the Second World War and has given me lots of ideas for the show, as well as some good advice. ‘Also this evening I will be welcoming a guest into the studio. But more of that later. Now, for our first tune this evening we’ll be taking a ride on Duke Ellington’s classic “Take the A Train”. Daisy presses the play button, allowing the rich sound of the orchestra to vibrate through the airwaves. After lining up two more tracks, she sits back to wait for her guest. Daisy had met Mavis two weeks ago. As a volunteer for the local hospital radio, Daisy not only produced a programme but she was also required to visit patients to collect their requests. She hummed to herself as she negotiated her way to the ward indicated on her list. The hospital was huge and although there was a map in the office, Daisy kept things simple by always using the same routes. She travelled down in the lift then walked through the busy ground floor. This was where patients were ferried in and out of the hospital, relatives tried to memorise the directions given by staff or consumed numerous cups of murky tea or coffee in the café. She negotiated the corner and took the next lift up to the quieter, higher floors. The sounds of the thrumming double bass still reverberated around her head. It was her new neighbour’s fault – the one in the upstairs flat. The sound of the instrument had seeped through the floorboards and into her living space. At first she’d been annoyed that, yet again, she would have to put up with the music of other people’s lives, but really she knew that in her block of flats there would never be any escape from footsteps, flushing toilets and other extraneous noises. After a couple of evenings of swing and rock rhythms she found her toe tapping and realised that the deep resonance of the expertly handled double bass was much better than her previous neighbour’s penchant for Black Sabbath. Daisy pressed the buzzer for access into the ward and dowsed her hands with antiseptic gel. Once inside she made her way to the far end; request slips at the ready. Daisy’s eyes gleamed as she explained about her grandparents’ large record collection. How they had loved all the big band stuff, as well as early rock. It had been the music of their first meeting, their courtship and their wedding. Mavis nodded, ‘I used to dance too. What I’d give for a good pair of pins again.’ She patted the sheet covering her legs. ‘Your programme takes me back to the good times we had at the Palais on Saturday nights. During the War… music and dancing was our way of forgetting about them awful things happening in the world. We really looked forward to Saturdays. Good bands and lots of airmen and soldiers to dance with.’ A surprisingly girlish giggle escaped Mavis’s lips. Daisy could well image Mavis as a vivacious young woman who had enjoyed lots of attention. ‘Got it. Something I’d like you to play. Your visit’s put me in a good mood, so I’ll have Glenn Miller’s In the Mood. Daisy frowned and stared into space. ‘That’s good. You know, you ought to find out who’s playing.’ Mavis instructed firmly. ‘Could’ve played at the Palais,’ reflected Mavis. Mavis’s descriptions were vivid; the excitement while waiting to get into the dance-hall, then the strong rhythms, the smoky atmosphere, the laughter, the swirling figures and the flirtatious banter. All of them sharp in her memory. Daisy eagerly embraced each new snippet as it was lovingly revealed. It was like the lines of individual songs coming together to make a complete album. Mavis spoke of her fiancé, away fighting in North Africa and then the unlooked for connection with a handsome Canadian airman. About the growing dilemma of whether she would have to make a choice between Bill, the solid dependable sweetheart who was a long way away, or Doug, the tall dark man from Ontario who was just an arm’s length away. Moisture glistened in the corner of her eye, ‘He was such a good dancer…’ Mavis’s voice cracked with memories. Daisy was uncertain. The wonderful music that wafted through the intervening layers of wood and plaster was welcome and she listened while writing her playlists for her programme, which somehow made the job easier. Did she really want to find out who lived upstairs? Break the spell? ‘I don’t know…’ Daisy chewed her bottom lip. Later that evening, Daisy had stood outside the door with her hand raised but not yet making contact with the wood. She could hear the rhythmic strumming of the double bass. She chewed her lip and took a very, very deep breath. ‘That request was for Jill Bentley in Ward D12, who’s a great Elvis fan. You’re listening to Swing with Daisy and in a minute I’m going to introduce you to my special guest. Someone who loves the big band sound as well as rock ‘n’ roll. ‘But first, if you were listening earlier, you’d have heard me dedicate this show to Mavis Widdowson. I know you’re listening Mavis. I’ve got a surprise for you. The short story competition which we launched in May has ended and the winner is…. Sorry you have to wait until the December 7th meeting when our external judge, local author Sam Maxfield (“The Last Resort” etc) will make the formal announcement. Her decision comes after two of our sessions were devoted to the most difficult task of whittling the initial entry of 34 to a final five stories from which we asked Sam to judge. Highlight of this year has to be when Sam Maxfield gave us a chance to hear how a published author sets about creating character when discussing her first novel in the Mapton-on- Sea series. She had drawn on her own experience of summer sea-side holidays to write this trilogy. Her talk was followed by an informative question and answer session with even a few tips on the use of the internet and how to get published. Everyone went away inspired and who knows maybe ours will be the next block-buster! In June, the local writer Sam Maxfield came to our meeting at the Pearson Centre to introduce us to the first book of her trilogy based upon a fictitious seaside resort in Lincolnshire called Mapton. She spent an hour with us talking about her writing, the books she has published and her Mapton series from which she read an extract. As a teacher of creative writing Sam has agreed to return to us for a session next year. She also kindly agreed to pick the winner of our short-story writing competition. We are delighted with the way the short story competition has grabbed people’s imaginations. As this goes to press we have had twenty entries and as the closing date is September 7th we expect more to arrive. The winner will be announced at the December Open Meeting. Finally, my thanks to members of the group who have led our “taught” sessions this year. They have given us much food for thought and inspiration for our writing. Writing For Pleasure is very pleased to announce that the judge for the short story writing competition is Sam Maxfield, a local, professional writer. 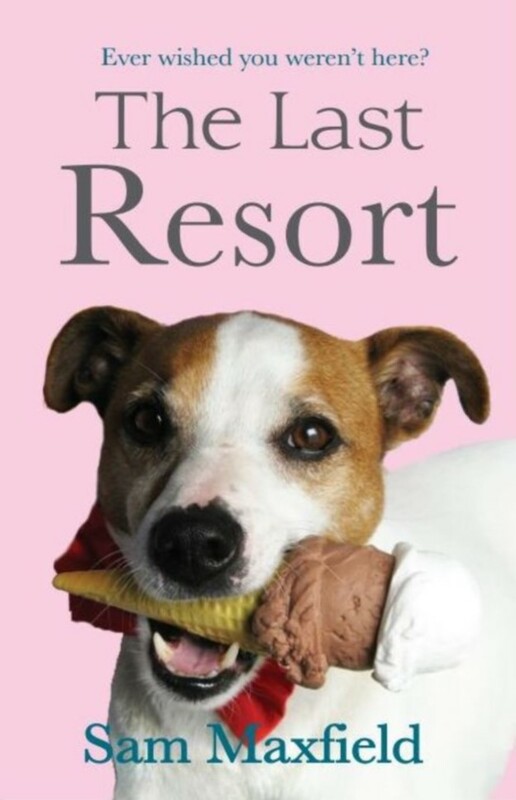 Amongst her books is the first part of a trilogy “The Last Resort”. Closing date: Thursday 7th September. Since January we have settled into our new home at the Pearson Centre. We must thank the staff there for making us feel so welcome but, Karen, we miss you! The group has also grown with several new members joining us after the Group Fair. I even had someone wanting to join us from Yorkshire and was prepared to stay locally to come to our meetings. However, a mix-up with Beeston, Nottingham and Beeston, Leeds may have led him to change his mind. We have also established ourselves at the community room at Tesco, Swiney Way. We gather there for a support meeting where we can look at the work of each other and help to improve on it. This is an amazing facility run by Tesco which is free and which also provides free refreshment. Our future programme includes a talk from a local writer Sam Maxfield. She will be running a question and answer session on her new novel, “The Last Resort” at our June meeting. Finally, our website is still thriving and is a wonderful way for us to show friends and family what we do. If anyone is interested then www.helenbeestonu3a.co.uk is our web address. This is the first time that Beeston U3A has launched a Short Story writing competition. We would like you to take any song title and to use it as the inspiration for your story. Please note: there is no copyright attached to using the name of a song. However, you must not use the words of the song in your writing as they belong to whoever owns the copyright. The competition is open to every member of Beeston U3A whether they belong to the writing group or not. We are aware that our group does not have a monopoly on creative writing and there may be budding authors in our community who do not wish to belong to our group but who would love to “give it a go”. Click on Beeston U3A Writing For Pleasure Short Story Competition 2017 for full details. We are delighted to say that our website has gone from strength to strength. Over 800 people have accessed it to read our pieces of work including members of other U3A writing groups around the country. For those of you who are unsure how to see what we are doing then, in your web bar, type helenbeestonu3a.co.uk and you will find us. Our article about the importance of writing for an audience also appeared in the National U3A Creative Writing Newsletter. Arising from that have come many suggestions as how to make our work accessible to more people without the expense of spending excessive amounts of money on printing costs. Some of these suggestions, for example a coffee morning, or reading to people in local nursing homes, we are considering. In the same edition of the National Newsletter was an article by the local poet Becky Cullen about working with a group of U3A writers – namely, us. She was extremely flattering about her enjoyment spending time with our group and about the work which arose from the two occasions she has inspired us. We do not sit back on our laurels! We are about to launch our first short story writing competition. It will be open to every member of Beeston U3A as we believe that there are some secret writers out there. It will also be open to members of our cluster U3A’s. The theme is any story based around the title of a song and the deadline will be September 2017. There is no cost to enter but the Beeston U3A Committee have kindly volunteered to donate a prize to the winner of the competition. I think it is fair to say that this is a challenging group! There’s no sitting around listening to others as everyone is expected to lead a session and to produce some writing on a regular basis in the true spirit of the U3A ethos. Perhaps that is why we have a core of faithful members and, occasionally, we are joined by one or two people who stick it out. Whatever the reason, we have gained a few and lost a few since the Group Fair this year. My thanks go to everyone who has led the group recently: we have had some fascinating sessions which have produced some awesome pieces of writing. What is the point of writing if you cannot have readers? This is a problem with which we have been struggling. I suppose that some people like to write for cathartic reasons and that form of writing is mostly private. Most of us, though, like to entertain and, for that, we need an audience. We were thrilled, three years’ ago, when we brought out a book of our own writing which could be given as presents to friends and family. Since then, we have had obstacles preventing us producing a second book – including finding the time to select, edit and physically pull together something worth printing (hats off to Marie Potts who comes up with a regular newsletter!). Although we still have a target of our own publication we have, in the meantime, set up our own website where some of our work has been placed. To access it you need to go to http://www.helenbeestonu3a.co.uk and click on the individual pages to see examples of our work arising from our monthly sessions. We hope you enjoy reading them. Who wants to write poetry? “My neighbour’s a poet. How about if she led us in a session one month?” and so began a very inspiring relationship with Becky Cullen. As a group of aspiring scribblers we had already invited two local writers to attend and lead us in a couple of sessions with mixed results. Becky, though, was an inspirational light from the moment she walked into our room. As a person she is bubbly and friendly. Professionally, she is studying for her PhD at Nottingham Trent University in creative writing – concentrating on poetry. Quickly picking up our names she began the two hour session with some relaxing word-play exercises. These moved on to using other poets as springboards for our own imagination as well as quirky items to inspire us. The two hours absolutely flew by and, by the end of the session, we had all achieved some poetry of which we were proud but which needed further work at home. There was no fee for this as it was part of Becky’s outreach work for the University. In March our U3A held a Groups’ Fair and we requested a time slot to read out some examples of our work. Several of us read out the poetry we undertook with Becky and there, in the audience with her mother, was Becky herself. Her praise for our efforts was itself inspirational. It was at this meeting that she told us that she had been chosen to be poet-in-residence at Nottingham Castle and at Newstead Abbey, funded by the Midlands3Cities Doctoral Training Partnership and the Arts and Humanities Research Council, and would we like to join her at one of those venues. So, on Wednesday 4th March a crowd of us met her at the Gatehouse to Nottingham Castle where she took us to a private room in the museum to start her second session with us. She began by asking us to select a colour and to write something about it: how it made us feel, what associations do we have and what we think about when we look at the colour. It was a light-hearted and unthreatening way to begin. Becky then took us to see the latest art exhibition at the castle. These were paintings and collages created by Gordon Cheung a British artist entitled “Here be Dragons”. She asked us to wander round the exhibition and, when we had selected a painting, to sit in front of it and use the artwork as a springboard. The resulting pieces of writing were varied and fascinating as were the next tasks which included studying other works of art in the museum. We all agreed that it was a brilliant morning. Could we have achieved this level of involvement without Becky? Probably not – as her sympathetic approach to us, coupled with her enthusiasm, makes her uniquely qualified as a great teacher. One of her strengths is listening and picking up on the positive within any piece of writing. We have since been delighted to hear that she has been awarded the Midlands3Cities Public Engagement Award 2016, for her work with Nottingham Museums. This is the first time it has been awarded, and it was across six universities. The award could not have gone to a more inspirational person. Not only that but Nottingham City Council wants to have further links with creative writing groups because of Becky’s success with people like us. I was aware, at the castle, that several of the officials were fascinated to learn that we were writing about rather than copying the works of art on show. We are now hoping that we can have further sessions with Becky as she has unlocked the poets within us! For our December 2015 meeting we had a real treat. We had a visitor to take us through some exercises in writing poetry. Becky Cullen is a local woman who is working for her PhD in creative writing at Nottingham University. Even more important, she is the neighbour of one of our members, Pat Taylor, and Pat arranged for her to spend a morning with us as part of Becky’s community outreach. We had a wonderful session and all of us left feeling that we could all write poetry. There was no artistic angst; just sheer pleasure. We were so grateful to Becky and now look forward to working with her again sometime in 2016 as she is to be poet in residence at Newstead Abbey and has suggested that we spend a session with her there. We all think that further links with Becky will be extremely exciting and fruitful. It is fair to say that, as a group, we have been going through a small identity crisis. As writers we feel that we need to develop rather than revisiting topics but how to do that? More time is required to analyse and help people improve and, to kick-start the process, our first meeting of 2016 involved “Medal and Mission”. This was Pat’s way of describing how we should praise work (medal) then give pointers for improvement (mission). It is a lengthy process and, to help us to do this, we have agreed to restart the extra meetings two weeks after our official one. As the group is always smaller for these extra get-togethers we are attempting to meet in someone’s house. Margaret Smith has volunteered her house to kick-start the first one. We had tried a local pub and a Beeston cafe but all proved too difficult – so we shall see if going to a member’s house works. Thank you Margaret for offering your home. Recruitment is a problem as the group is diminishing in size, mainly because of ill-health. We also discovered that a notice placed on the website over two years ago about us being full has never been removed! (Sorry, Steve – my fault – I must read the website more often.) Those of you who have an interest in writing do come along and join us. We are a jolly bunch and appreciate anyone who “gives it a go”. Where are the writers of Beeston? Who wants to have fun with words? Who wants to have the pleasure of using their imagination? Who wants to join a group of friendly, funny and supportive scribblers? Sadly, our small group is steadily becoming smaller and, consequently, we need to recruit a few more. We are aware, though, that too large a group would stop us from being able to look at everyone’s writing and from “opening-up” ourselves to each other. So much of our writing is based on our own experiences and encounters. It is, therefore, a delicate balance. One or two of our regulars have had to leave us recently for personal reasons and we would like to encourage others to join. We have also had to have a debate as to where we go from here. In the three or so years we have been established we have covered all forms of writing. However, I see writing as a cyclical event and we can and will return to some of the different forms. We do have some very competent writers amongst us who wish to improve; we also have people, like me, who just have fun with words to keep our brains ticking over. It is certainly not an English grammar group but we will help anyone who wants to tighten up on that aspect of their writing. Why not join us for the December meeting (Wednesday 2nd December, CRMC at 10.00) where we are expecting a poet from Nottingham University to lead us through the writing of poetry? Do let me know if you would like to do this as we would be very pleased to see you. The session is free (apart from room costs) as this is part of the University’s outreach work. The Group is now taking now members. Please note – because of financial constraints, the start time for the Writing For Pleasure group has reverted to 10:00 on the first Wednesday of the month. The finishing time will be no later than 12:00. We now meet in the Wesley Room as our numbers have increased. The world of publishing is a minefield and many of our most recent meetings have been spent attempting to come up with a strategy to print our latest publication called “Self-Portraits”. We must thank Marie Potts for attending our last meeting to represent the Committee and to discuss with us how she could help with the printing costs by using the U3A printer. Our previous, successful publication of two years’ ago was completed by a professional publisher but it was thought that the cost, this time, was too much and that to charge the membership the actual value would prevent many copies from being sold. Anyway, the pieces have been written and most of the illustrations have been tackled so now all that is left is to put it all together and to be ready for the December Open Meeting. Despite all our angst we have also managed to keep up with our writing. Margaret Smith set a task which members could undertake whilst enjoying their holidays. This led to some varied and fascinating pieces. We also revisited the art of travel writing; something very topical for the summer months. Congratulations must go to Margaret Gunn. For our self-portrait writing Margaret had completed a fascinating piece on life in Nottingham as a child during WW2. It was suggested that she submitted this piece to the Evening Post; which she did and was duly given a two page spread! Well done, Margaret- we are proud of you. Finally, we have closed down our “Writing For Pleasure” blog. It was set up so that we could upload our pieces of writing so that we could easily read each other’s work and it would be available for a wider audience too. At the time it was set up the site was suggesting that it was “Free” so imagine our surprise when, at the end of the “free” month, a charge came through. We decided that we did not use it enough to warrant a monthly payment so we unsubscribed. Guess what? We have now received several emails to state that we can have our site back and there will be no charge! I cannot see us taking up their kind offer. No April fool joke but on the first Wednesday of April (1st) we had a visiting creative writing lecturer to take us through our morning’s session. Nicola Monaghan, who is the author of the novel “The Killing Jar” and a local Broxtowe girl, worked with us on some writing exercises which were lively and produced some thoughtful results. A “thank you” must go to Margaret Smith who organised the visit. Margaret had met Nicola whilst Margaret was at a book fair publicising her own book “Silent Links”. In the last newsletter it was stated that Nicola’s visit was to be in March. Unfortunately, she was ill and the event had to be rearranged. May’s meeting was ably led by Pat Taylor who looked at the way dialogue is used in writing. As a group we have also started a new innovation. Two weeks after our formal meeting at CRMC we have agreed to meet up, on a voluntary basis, at The White Lion, Beeston for coffee, a chat and to look at individual pieces of writing. This allows members of the group to send, in advance by email, something which they have written and to receive feed-back from different people. We have had two sessions so far and individuals have found it enormously helpful to be given such one-to-one supportive criticism. This is not something we have time to do in our normal monthly sessions. We are also planning our next publication which we hope to have in print for the December Open Meeting of the U3A. It is made up of extracts from our own auto-biographies. Many of the group have already written their piece and are now working on their first or even second drafts. The booklet is to be called “Self-Portraits” and we have given ourselves the challenge of drawing our own self-portraits to illustrate the publication. So much has happened since our last report to the Newsletter. Christmas found us writing about the senses and, especially, about the sense of taste. Of course that meant that we had to eat some chocolates in order for us to savour and establish the interesting tastes to be found in a box of Thornton’s soft centres. In January we looked at how selected language can create mood. This was shown in some very moving pieces written about rooms we know well and how they have changed according to circumstances. Also, in January, a full article appeared about our Group in the National U3A Creative Writing magazine. It was so gratifying to know that we were viewed as an exciting and innovative Group. However, two further exciting developments have recently taken place. We now have our own blog. This means that every member of the Group can upload their writing onto the Internet and, not only can we read each other’s work, but it can be read by anyone in the world. If anyone wishes to view our efforts then they need to go to www.a-writer.co.uk which is our Group’s personal domain. The opening page contains a photograph of some of our members at the last meeting; which is the same photograph attached to this article. The second event will take place at our meeting in March. Margaret Smith, whilst at a book fair selling her novel, met and persuaded a creative writing lecturer at Nottingham University to spend a morning with us. We are all looking forward to working with someone who is an expert in creative writing; it will be a fascinating experience. Helen Stewart submitted an article to the Third Age Trust for their national Creative Writing Newsletter. Not only was the article published in the January 2015 Newsletter, but it was the leading article. Click on Creative Writing Newsletter – January 2015 to read Helen’s article. Once again we have to start our report with news of a success in writing. Congratulations to Margaret Smith (pen name Thornber) who has had her first novel, Silent Links published. The novel looks at the people who pass their time on a bench in a park. It is a series of stories which are very relevant to today’s issues. I am lucky enough to have a copy (bought at the Book Fair at County Hall where Margaret had a stall to promote it) and can honestly say that I thoroughly enjoyed reading it. It is also wonderful to see Margaret’s acknowledgement at the end of her book: Joining a writing group recently helped to motivate and drive me onwards and I am grateful for their words of inspiration. That’s us! Pat yourselves on the back Beeston U3A, Writing for Pleasure. We have now come to the end of our cycle of activities which we began two years ago. We are now starting again with areas that our writers wish to concentrate on – such as building up characters, looking at non-fiction writing and writing radio scripts. We also want to invite a creative writing tutor to join us for a morning in 2015. November’s meeting looked at writing book reviews and we had a great session either praising or destroying books we had read. It is well known that a good writer is also a reader of the works of others. U3A national also runs a creative writing magazine which can be downloaded from their website. We have been lucky enough to have been featured in their last edition but look out for January as we are to have a much longer piece about our group included in their section on individual U3As They seem to like what we have been doing which is very rewarding. The two meetings for July and August were expertly led by Dana Bielec on the subject of Writing for Children. Enjoyment was apparent as we tackled the enormous range of materials published for children today; favourites emerged, both old and new, read by ourselves to our own children and grandchildren. It was decided to narrow down the field to picture books aimed at the age range of 1 -5 year olds. After considering some examples, a much debated first session ended with unscrambling twelve texts of a story line to run sequentially. Extension activities were suggested to produce our individual picture books of 500 words, suitable for 3-6 year olds. Twelve double pages of text to inspire and inform any illustrator. The regrouping in August proved lively and all the contributions were diverse and of a high standard. Beautiful water coloured illustrations enhanced the text of one contribution from Carl Jackson. Amusing stories and poetry covered a spectrum of ideas which entertained us, any of which might be considered to be explored and developed for publication. The kernels of the original ideas were so delightful. My thanks go to Margaret Smith who has written this on behalf of the group – unfortunately, because of other commitments, I had missed much of this work. In March, Margaret Smith and Erica McKinnon ably took the group through script-writing. This was followed up in the April meeting with some amusing plays. For our May meeting Christine Hibbert attended the first half hour to return the short story challenge she had set us earlier in the year. She summarised the entries and gave us written feedback where requested. There was one outright winner with two other stories coming close. The “winning” story was entitled “The Diary. In Remembrance of Ultimate Sacrifice.” This was set in WW1 and focussed on a stretcher-bearer in the trenches of northern France. It was a very moving piece. Christine’s main message to the majority of us was “not to play safe,” and to allow our imaginations to explore different genres away from domestic stories. Our thanks go to Christine for taking the time to be with us, to read our “scribbles” and to give us such interesting feedback. Jean Willgoose brought to the meeting the finished copy of “A Girl Called Fred” which was published by Jean in remembrance of her late husband Roger who had written the book in 1981. It is a delightful account of Roger’s relationship with the family’s Yorkshire terrier. Congratulations go to Jean for seeing the whole project through to its conclusion. Margaret Smith also informed us that she had finished writing her first novel! However, it has not yet been published but we all look forward to this event immensely. Our first booklet has been a great success! It was published in time for the December Open Meeting and we sold one hundred copies. We were all delighted by the way in which it turned out. We must also thank the Beeston U3A committee for subsidising the cost so that we could make the booklets affordable. We are now already considering our next publication! We did not meet in January but Christine Hibbert, a fellow member of Beeston U3A, came to talk to us in February about how she has had her work published. Christine’s passion is in history and in finding out the stories connected to her love of Victorian memorabilia. Christine’s first published article came from a small, sepia portrait of a Victorian woman with the surname Frean. 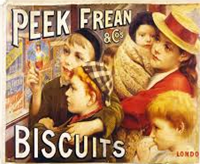 After some research it was revealed that this was someone belonging to the Peek Frean family and so her first article took shape. Christine spent the whole morning with us as we opened up the discussion to local publishers and helpful books and bookshops. Christine had also set us an internal challenge over Christmas: to write a short story of 1000 words with the theme “All in the Mind”. Most members of the group had completed it and Christine is very kindly reading through them and giving us our feedback later in the year. In March’s meeting we shall be looking at writing for the theatre. As this newsletter goes to print we should be admiring our first booklet containing our very own pieces of writing. It is all very exciting as this will be, we hope, the first of an annual task where we submit poems or short stories or articles to be sold to fellow members of the U3A, to friends and to supportive family. We just hope that it will bring as much pleasure to our readers as it has to us writing the pieces in the first place. Anyway, it will make a great Christmas present. Apart from our own publication what else have we done? We have looked at writing articles for newspapers and magazines ably led by Margaret Gunn and Chris Chater; Sylvia Mckenna took us through some challenging character work for short stories and Dana Bielec, supported by Jean Willgoose, looked at writing stories through diaries and letters. Dana and Jean used some very personal material whilst looking at their subject and everyone found the sessions extremely moving. Of course, we are still very proud of our published writer, Margaret Smith, who won a national competition for her short story. Several of us have also submitted work to competitions (honestly, we did not realise just how many writing competitions there are in a year) but without Margaret’s success. Ah well, we can live in hope. Since the last newsletter we have concentrated on and enjoyed writing short stories, led by Sylvia McKenna also non-fiction writing, led by Margaret Gunn and Christine Chater. However, we were all delighted when we heard about the tremendous success of one of our happy band of writers who entered a piece into a national competition and won first prize! The following is an interview with Margaret Smith about her achievement. What competition did you enter and why? New Writers U.K. organises competitions for aspiring writers and this year they opened the entry for the over 55s, the Silver Scribes. This was to be an integral part of the Gedling book festival taking place over 3 days during July 2013. I had joined the U3A writing group and thoroughly enjoyed the varied programme of styles of writing, and the fun and encouragement of the group members. Short stories was one part of our exploration of writing genres. My short story completed, the first I had ever written, I wondered what now? So I sent it in “on a whim” to test the writing scene. What was the piece you entered? The Gift: my entry is based on an actual event in my own family. A gold broach was made by my brother and is lost somewhere in Beeston. The rest is total fiction and it is to be on sale in October in Waterstones in Nottingham in an anthology of winning entries called Silver Scribes: Tell Tales. How did you know you had won? Imagine my surprise when a letter followed some time later to say I had been short listed. I was asked to attend a presentation event on the 14th July at Gedling Borough Councils Civic Centre, along with the other 19 finalists. At this point I wondered if there were only 21 entries and I had wriggled through into the number selected! What exactly did you win and how has your life changed? The book festival was expertly organised and on a hot Sunday we entered the plush Civic Centre. The Mayor Bob Collis and Stephen Booth the crime writer, presented the prizes. A book had been published of all the twenty stories and a copy was given to each of us as a prize. The final three competitors were also given an envelope containing money, as the winner I was astounded to receive £50. Never in my wildest dreams did I think that anyone would pay to read my words! The impetus for writing is now gobbling up my free time; gardening, housework and chores all put aside, much to my husband’s dismay. I will continue writing as the process gives my brain a challenge. Maybe there is a novel in me just waiting to be born? Who knows, Beeston U3A Writing For Pleasure may have produced the next J.K. Rowling. Congratulations Margaret. Travel writing featured in our February meeting led by Mary Foster. She brought along a selection of books to illustrate the type of travel writing one might like to try. These ranged from Bill Bryson to Paul Theroux. We welcomed her tips on how to get started. One member sent off a piece of travel writing to a web-site (Travelmag.co.uk) and was delighted when it was published on-line. Alan Dance, local author of The Chilwell Ghost, Narrow Marsh and Leen Times visited us in April. He recounted how he became an author and imparted several interesting nuggets of information, not just about how to get published but also about our local history. The May group was given advice by Sylvia McKenna on characterisation in short stories. Following her talk and a discussion she gave us a task which involved writing about two completely different characters but both having the same name and occupation. Some varied and amusing results were read out. We continue to amaze ourselves with the literary offerings we didn’t know we had in us! Margaret Rose Smith-Thornber, one of our group members, wrote a short story which has gone through to the final of the Silver Scribes’ competition. This September we will be launching our first local U3A publication, a booklet containing a selection of stories and poems. A U3A writer once said, I love to pen thoughts from my head, A limerick or two, Sometimes a haiku, And a sonnet before going to bed. Over the last couple of months the group has tackled several different forms of poetry with great success and some amusement. A really supportive atmosphere has built up with people reading their work and others helping them improve their style or giving further ideas. We are now at a stage where we are collecting original material for our first “Writing for Pleasure” publication. We hope to put together a small booklet of our work to sell to the wider membership of the U3A. January and February sees us tackling a different form of the written word: travel writing. This has been prepared and will be led by Mary Foster. There is plenty of material for some descriptive and anecdotal accounts of holidays so we are looking forward to some entertaining reading. It’s difficult to know if I am writing about the activities which have taken place in the “Short Story Writing Group” or to write about the forthcoming “Writing For Pleasure Group” so I shall comment on both! Firstly, the Short Story Group has worked together for nearly a year and, in that time, we have produced all sorts of exciting and interesting short stories. Themes have ranged from personal stories, to thrillers, to modern fairy-tales – and everything else in-between. We have greatly enjoyed both writing them and listening to what people have written. Debbie Wilkinson, the group leader and would-be professional writer, encouraged us, not only with our writing, but also with information regarding competitions to enter. Imagine our surprise when Debbie found she could no longer spare the time to continue with the group and resigned from the U3A. Although we have all written to her expressing our thanks I would like to take this opportunity to thank her again for the work she did with us – it was appreciated by all. So, what were we going to do leaderless? The group was determined that it wouldn’t fold and an emergency meeting was held to discuss the way forward. It was decided that, like a phoenix rising from the ashes, we would emerge as an even stronger group. We decided to widen our brief so that we started to look at all different forms of writing and also, as a priority, to look at producing our own booklet to sell to the members of Beeston U3A. Some new aims were established and a programme of activities agreed – all of which can be found on the web site under our new name of Writing for Pleasure. We have also made contact with the writing group from Long Eaton U3A and there are some tentative plans to join together on occasions including a writing day arranged by Long Eaton in September. We launched the “morphed” group on Wednesday 29th August at 10.30 in the Epworth Room at the CMC when we looked at autobiographical writing. The leadership of the group is being taken on by me – Helen Stewart – but it is only a temporary measure until someone feels that they can take over as Art History takes up most of my own time. Christine Chater is taking on the important role of secretary and finance. I am also very grateful to the existing “team” for volunteering to lead the group in various topics over the forthcoming year so that no one individual is left to organise everything. What is encouraging is that already we have had enquiries from four new members. After the August date we shall meet on the first Wednesday of the month at 10.30am starting in October. The cost of the room will also cover the cost of any printing required but it shouldn’t be more than £1.50 – £2.00 per month. Anyone who has an interest in writing is welcome to come along and, hopefully, to have fun as well as improve on existing skills. Who knows, we may discover the next budding D.H.Lawrence amongst us! • To put together an anthology of our own writing. The sessions are open to anyone in Beeston U3A who has an interest in writing in all its pleasurable forms. If you have a particular skill (writing an autobiography, writing poetry) then we would love to hear from you. If you would just like to learn and have fun then we would like to hear from you too. Our first meeting of the new group will be on Wednesday August 29th at 10.30 at Chilwell Methodist Church but, from then on, we shall be meeting on the first Wednesday of every month starting in October at the CMC from 10.30 – 12.30. A programme of writing sessions is available.